12-26-14 - On shunryusuzuki.com there are now 143 suggested edited versions of the verbatim transcripts for those who want an alternative to the raw material. In the New Search Form, the Suggested Edited Version link follows the Transcript link which defaults to the verbatim version. In the Compact List, the chart, there is now a column for Suggested Edited Version which applies only to the lectures with verbatim transcripts identified as V Transcript in the Transcript column which defaults to the verbatim whereas those not identified as verbatim in that column are previously selected edited versions for lectures with no surviving audio to be checked against. Some people prefer to read the more heavily edited versions in books, some prefer the verbatim versions where available. Some prefer the versions lightly edited for readability which are all indicated as suggested edited versions in these presentations. The chart shows what the different types of edited versions are and which ones are default transcripts and which are the 143 suggested edited versions of the verbatim lectures. It also shows which verbatim lectures have no other version. 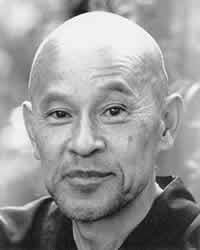 Originally shunryusuzuki.com made available all the audio for Shunryu Suzuki lectures and only the transcript collection from the 2002 project which focused on creating verbatim transcripts from the audio. There were 315 transcripts, 229 of them verbatim Other transcripts were added as we found them until now there are 410 transcripts. Over twenty of those came from audio that had not been transcribed mainly due to its poor quality. The chart shows the source of the transcripts added - light edited from the verbatim versions, earlier transcriptions, from Wind Bells, from film.